When talking or reading about technology, it can sometimes feel as if you need to know a completely foreign language. Not only are many of the words confusing, but the use (some might say the overuse) of acronyms can further complicate the issue. According to the results of a survey conducted by IT recruitment consultancy Computer People, 75 percent of respondents admitted that they waste over an hour a week finding out what something means so they can complete their work. Lost productivity isn’t the only problem. In a VIA Networks survey of small and mid-sized businesses, over 26 percent said that confusing technical jargon had led them to make the wrong purchasing decision. It’s time to cut through the confusion! 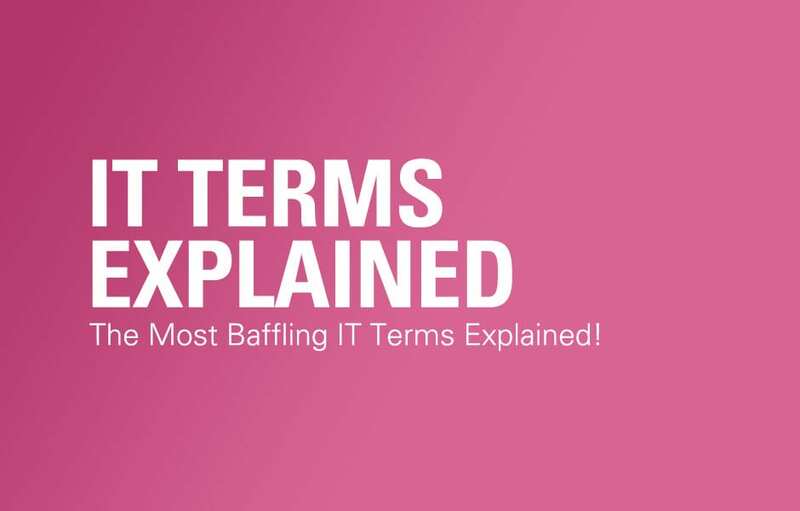 The Global Language Monitor (GLM) analyzes and catalogues the latest trends in language the world over, and each year the organization compiles a list of the “Top Ten Most Confusing Yet Frequently Cited Tech Words”. We’ve taken some of the terms from their list, added a few of our own, and given them all plain definitions. ASP: This one is particularly tricky because it’s an acronym with two meanings. An Active Server Page is an HTML page that includes one or more scripts (small embedded programs) that are processed on a Microsoft® Web server before the page is sent to the user. An Application Service Provider is a business that provides computer-based services to customers over a network. Kernel: This is the central component of most computer operating systems, responsible for managing the system's resources and the communication between hardware and software components. Megahertz (MHz): This is unit of measurement used when determining a computer’s processing speed. It literally means one million cycles per second. Accordingly, Gigahertz (GHz) and Terahertz (THz) equal one billion and one trillion cycles respectively. Deduplication: This is a method of reducing storage needs by eliminating redundant data from a device. Deduplication is also sometimes known as "intelligent compression" or "single-instance storage". Robust: This is probably one of the most commonly used, yet least understood, terms in IT marketing materials. A “robust” product can be one that doesn't break or fail easily; for example, an operating system in which any individual application can fail without disturbing the operating system or other applications can be said to be robust. Robust is also sometimes used to mean a product or solutions designed with a full range of capabilities.